Queensland Sheet Metal manufactures trays in both standard and customised sizes. Soft soldered for strength, or spot welded trays are useful in a variety of building applications. 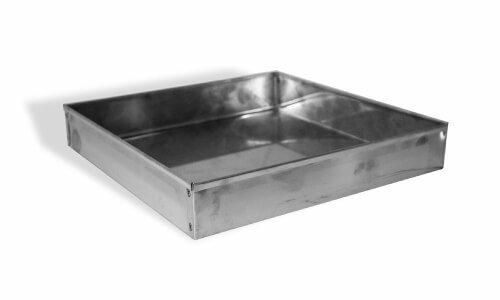 Utilised for a wide variety of applications, trays are manufactured at Queensland Sheet Metal in many sizes and materials. Request a custom made tray with any dimensions, or choose one of the sizes listed below. Queensland Sheet Metal manufactures both safetrays and shower trays in a range of different materials. Safetrays can be made from 0.55mm thick Colorbond® Steel, Zincalume®, galvanised, copper or 316 grade 2B stainless steel. 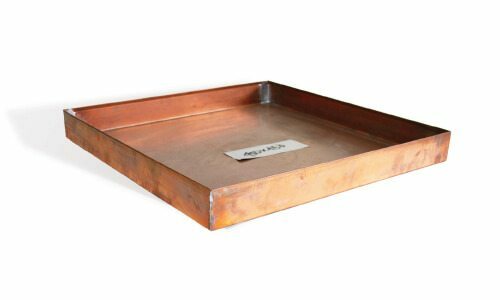 Whilst shower trays are usually only made in either 0.55mm thick copper or 316 grade 2B stainless steel. Safetrays are popular with hardware stores and builders alike. Shower trays may also be customised to include a supplied waste outlet or include cross breaks for strength. Some trays require safety folds or seams too, depending on your specific requirements.